I still got some books I read in December that I didn’t write a review for. One of them is Left Neglected by Lisa Genova. I found it in a local bookstore that sometimes has great bargains and I thought “Wow, this book sounds like a must-read.” So here’s what I’ve got to say about it. Set in present-day Boston and Vermont, Left Neglected leads you into the world of a business woman who only perceives the right side of everything, including herself. 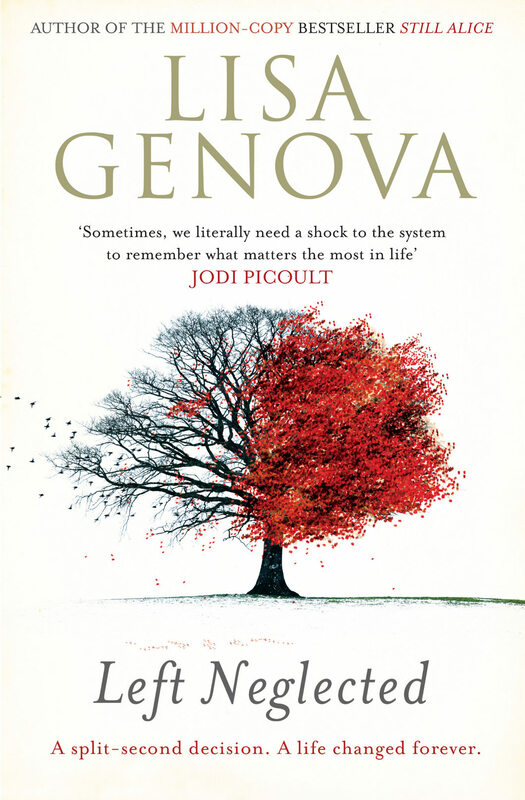 I think it is quite challenging for an author to make the reader see through such a person’s eyes, but Ms. Genova succeeded. In my mind, I was constantly trying to look beyond that grayish area to see that left hand, or that ring, let alone that watch to read the time. Sarah, the main character of the book, is a business woman and as you can imagine, she is struggling hard to cope with her new situation. I never doubted this character for a second and understood her trains of thought, her fears and her decisions. There are other important characters in Left Neglected, but telling you about them would be a spoiler. They each have their own little story to tell. As I already knew that an accident was about to happen, I was rushing through the first couple of chapters to finally get there. I’m really impatient when it comes to things like that. So I perceived the beginning of Left Neglected as a little too slow. But from the accident onwards, I was spellbound and didn’t want to stop reading. I actually read the book within two days. I can fully recommend this gripping and moving story to anyone who needs a timeout, wants to broaden their horizon, or just wants to read a good book.